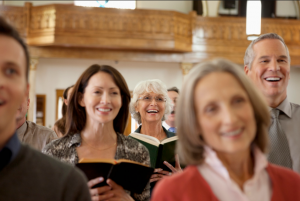 First time church-goer or attending after a long absence? Check out these church etiquette tips with pastor Patrick Sasnett below. OCALA, FLORIDA, UNITED STATES, February 1, 2019 /EINPresswire.com/ — Are you thinking about attending mass for the first time? Perhaps you’ve just moved areas and are looking to join a new church or denomination? Or maybe it’s simply been a while and you’re thinking of joining a service once again. Whichever it may be, it’s always a good idea to brush up on church etiquette so you know exactly how to stay respectful in His house of worship. To help you with this mini refresher course, we’ve enlisted the help of pastor Patrick Sasnett to guide us through the Ps and Qs of holy worship when praying in the house of God. “God forgives everyone.” Patrick Sasnett tells us. “And that includes late-comers, but you should still try and be on time for every mass.” Of course, sometimes life gets the better of us – we wake up too late, our alarm clocks forget to go off, or we simply get stuck in a hectic traffic jam on the way to the church. No problem! Just remember to slip quietly into the service and sit somewhere at the back so as not to disturb the rest of the parishioners. “When attending mass, always take a second to see how everyone else is behaving.” Patrick Sasnett says. Are they sitting reverently and praying quietly? Or are they a bit more social? Each church has its own unique social dynamic based on the people who worship there, so be mindful of the group behaviour so you can avoid any congregation faux paus. If in doubt simply take your lead from the priest – he generally knows how to read the lay of the room and react accordingly. It’s important to find out how people dress at your new church. According to Patrick Sasnett, some churches have a more laid back vibe, while others encourage the congregation to bring out their best and brightest every Sunday. This doesn’t mean you have to wear a three piece suit, but if everyone else is taking the time to dress up slightly, you shouldn’t saunter into the narthex wearing flip flops and board shorts.